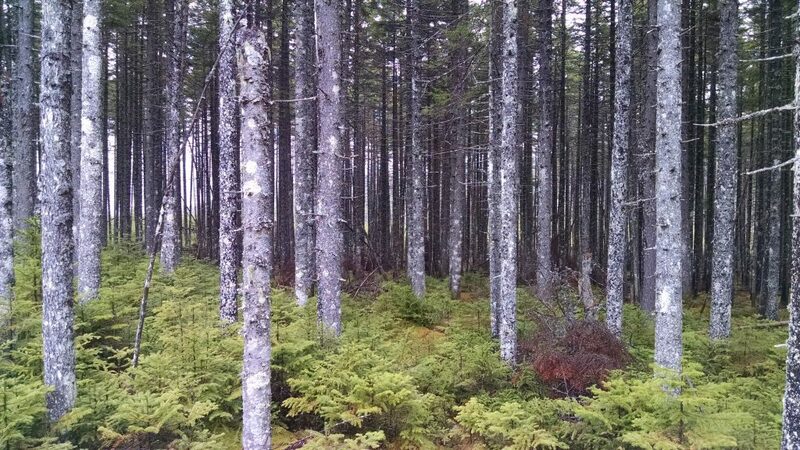 Spruce forest on Spruce Mountain. 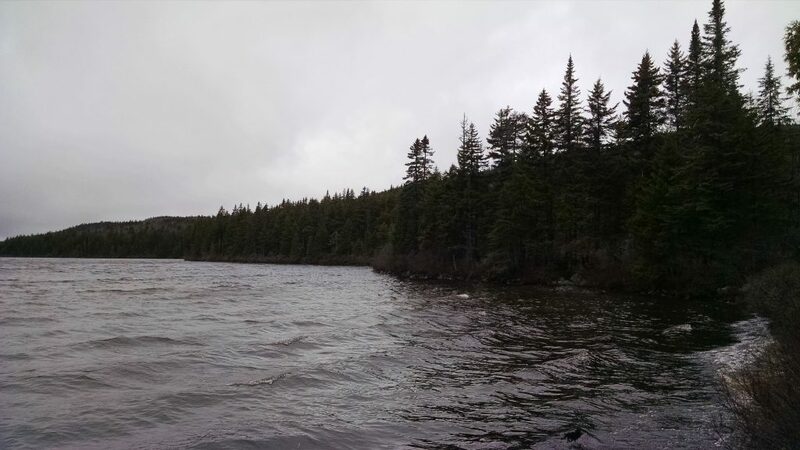 Windy shore of Long Pond. Snow falling on Moxie Pond. 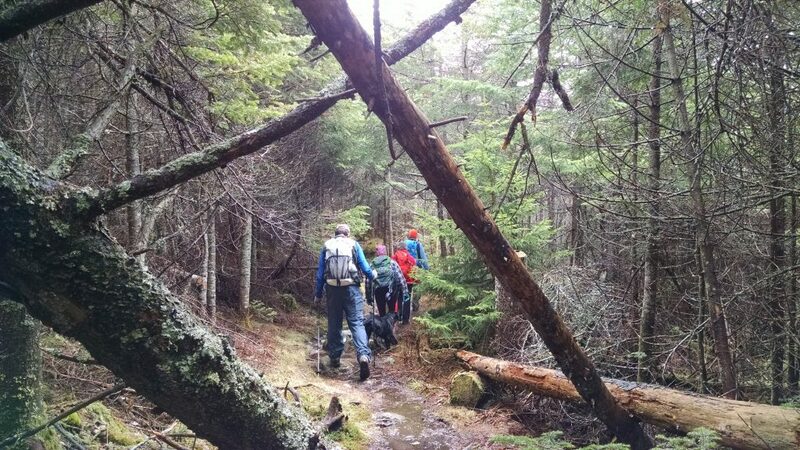 The land trust held the season’s first Maine Hikes trip on the A.T. on May 15th. 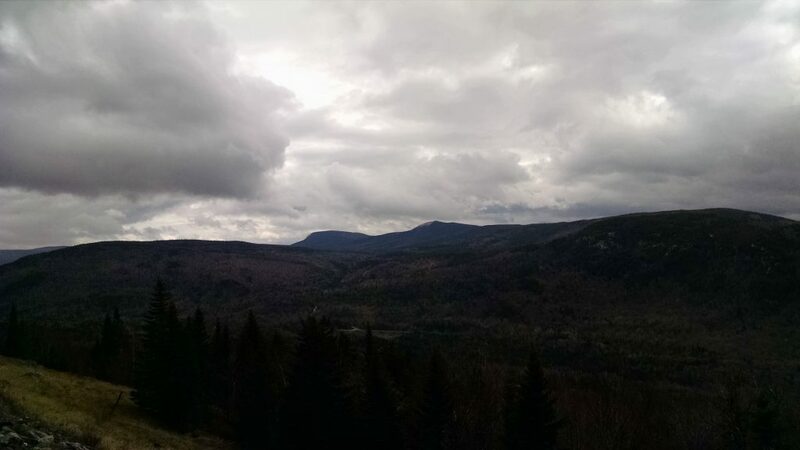 The destination for this hike was Spruce Mountain and the Maine Public Reserve Land’s Four Ponds unit. 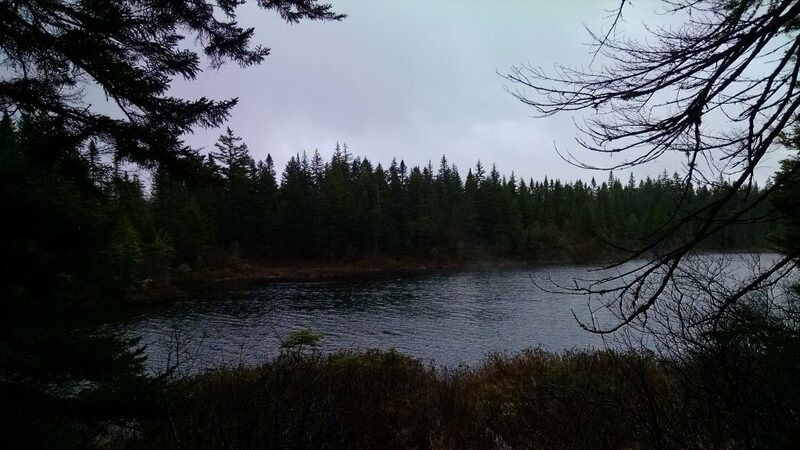 We had a crew of five on a windy, cloudy day but fortunately the heavier weather had moved out and we were in dense spruce forests for most of the trek. 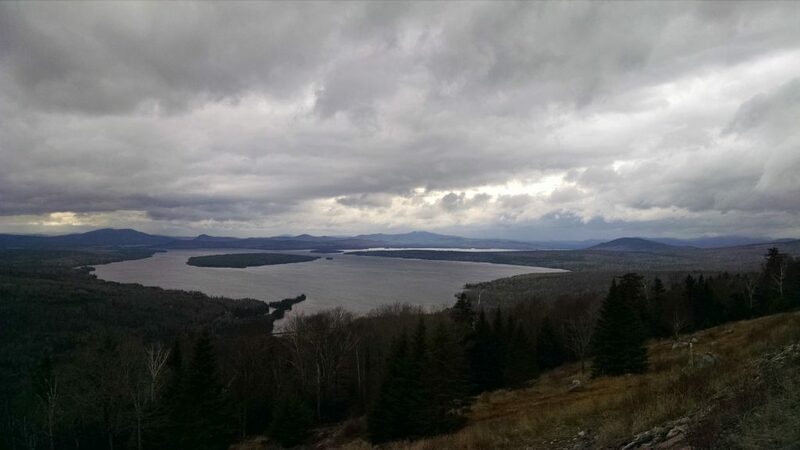 The meetup spot was the Height of Land parking area which overlooks the western Maine lakes and the Bemis Mountain range. In 2011, the Maine Department of Transportation rebuilt the parking area at the overlook spot, putting in signs and laying stone steps for an as-yet-to-be-completed interpretive trail. Having just come down Bemis Mountain, the Appalachian Trail proceeds from the parking area to the east, up Spruce Mountain (2530’) and down to large areas of montane spruce-fir forest in largely wet areas. The terrain in this section is largely flat, and proceeds along the first two ponds, Moxie and Long, before heading up along the south side of Four Ponds Mountain. While the conditions were pretty muddy even by Maine standards, the sights, sounds and company were all wonderful. The A.T. skirts the northern edge of the state land while remaining just below the summit of Four Ponds Mountain and becomes steep in this section, but only briefly. Views to the south over Long Pond – the largest of the four in the state land unit – stretch to the south and west, where fresh snow dusted the higher ridges. As the trail descended to the isthmus between Long Pond and Sabbath Day Pond, the third of the Four Ponds, the group reached the A.T.’s Sabbath Day Pond shelter. The distance to the shelter was 3.6 miles but the mild terrain made it feel much shorter. After a nice lunch and some musings on the scattered bear skeleton in the vicinity, the group headed back on the same route. There is a bushwhack route but the group decided to stick with the A.T. since it was a good hike in. The wind along the shore of the lakes increased and the intermittent rain showers turned to snow and sleet. The southern shore of Long Pond still showed deep areas on snow in the woods which were clearly visible from the higher elevations. 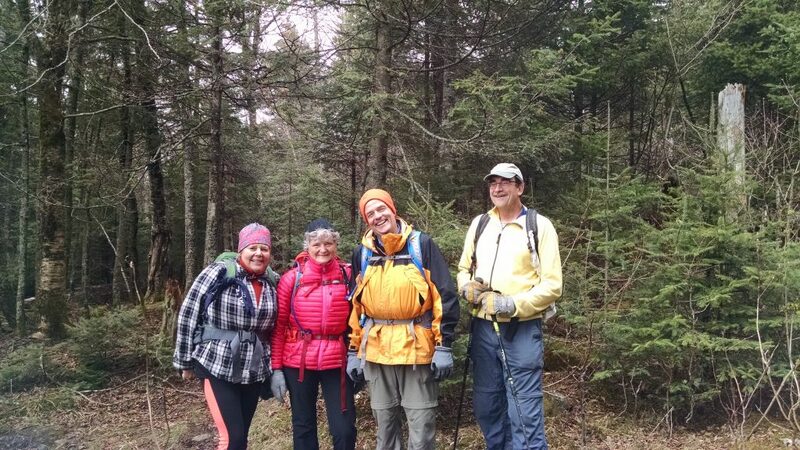 Fortunately, the snow and sleet remained light for the duration of the return journey, and back at the cars everybody agreed that this was a great, unknown Appalachian Trail hike in Maine. Despite the lack of major mountain summits, there were plenty of views and not another hiker was to be seen. 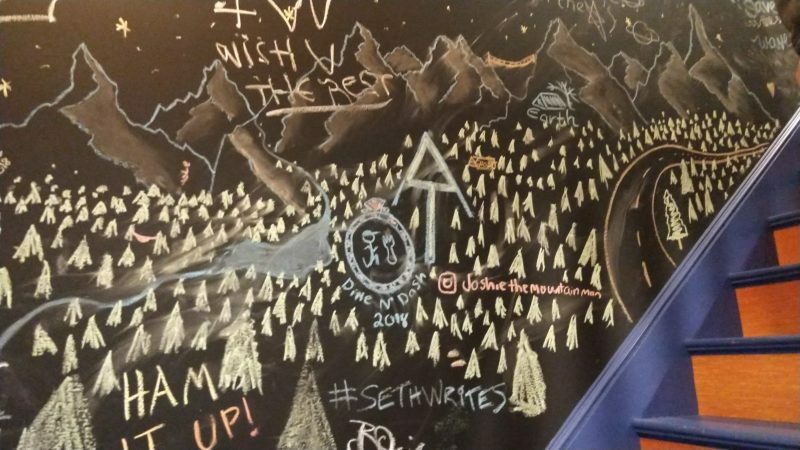 A great day on the trail! 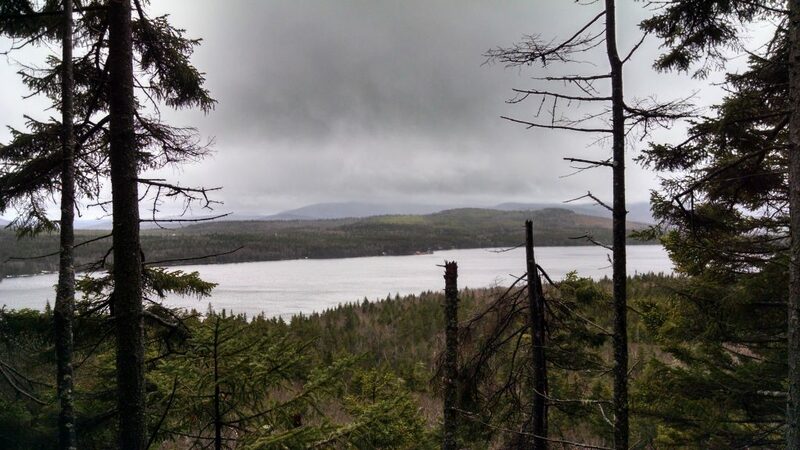 Look for information on our next hike – up Old Blue Mountain on June 11th – shortly!